Most footballers have probably had something thrown their way during their careers. Sadly, a minority of fans always feel the need to do it at games. If you’re going to throw anything, though, perhaps the way to make it slightly more acceptable is by lobbing a tasty treat at a player. 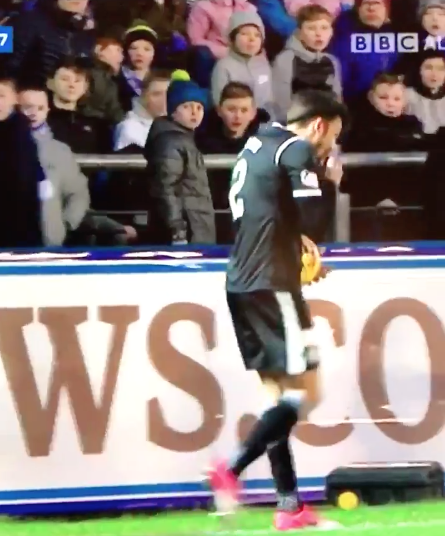 That’s exactly what happened when a Greenock Morton supporter threw a chocolate bar at St Mirren defender Stelios Demetriou during Tuesday night’s derby, with Demetriou then taking a decent bite of it before getting on with the game. Fair enough. It’s not big and it’s not clever, but it is chocolate so…. Next: Next post: Who could blame Arsenal’s Alexis Sanchez for wanting to join Man City’s title tilt?